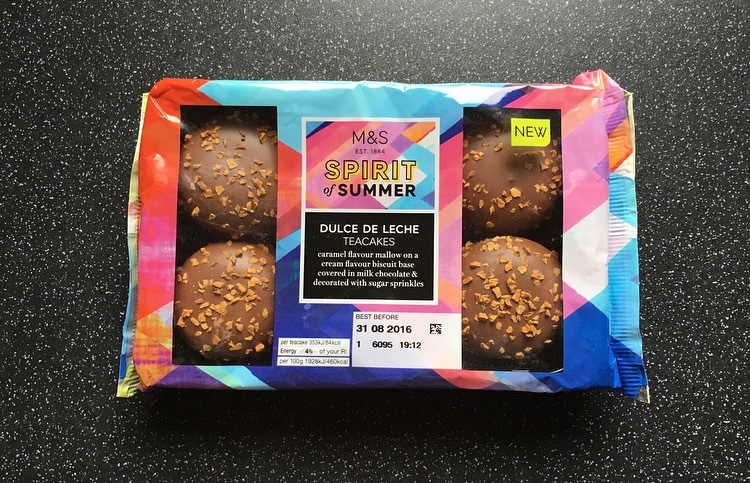 The sun has been peeping out the clouds this week so it is only fair that we have a bit of the Spirit of Summer courtesy of the new M&S Dulce de Leche Teacakes. As previously mentioned M&S have gone a little crazy with dulce de leche this summer and shoved it anything and everything. I must say their Banana Dulce de Leche slices were a thing of beauty so I have high hopes for these Teacakes. 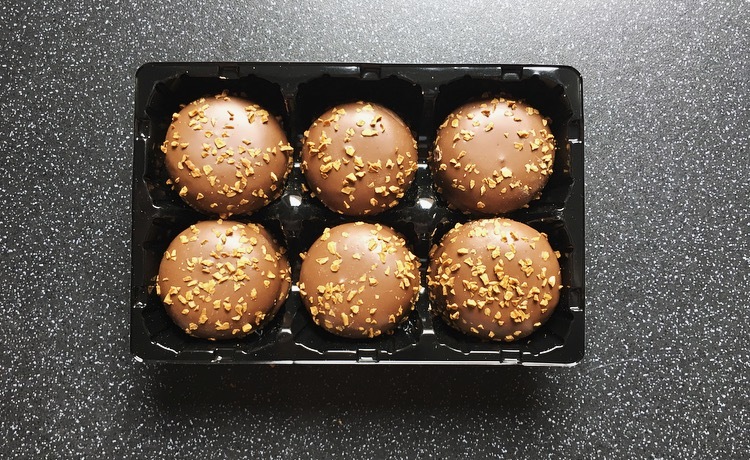 Their packaging is certainly snazzy and catching to the eye, and these definitely faired better in their travels than the Red Velvet Teacakes. These were on offer for a £1.00, which is a bargain price for 6 chocolatey teacakes. 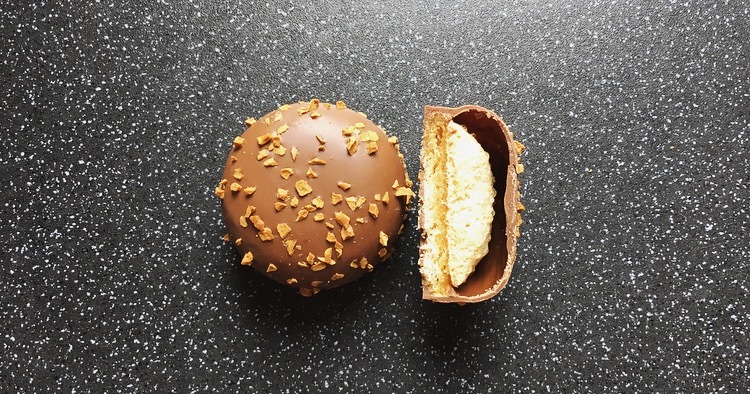 Caramel flavoured mallow on cream flavoured biscuit based, covered in milk chocolate and sugar sprinkles. In the infamous pain in the bum plastic tray that you can never slide back in the packet, the teacakes certainly looked pleasing to the eye. A few were a bit skewiff on the base but I kind of like products that aren’t all prefect looking. Erm what is that large cavity inside? I appear to be missing some marshmallow! Thinking it was perhaps a rouge one I sliced another to discover the same abyss between the chocolate and the marshmallow. Bemused indeed. There was the overriding taste of caramel however it leaned more towards that caramel coffee side than buttery silky dulce de leche. 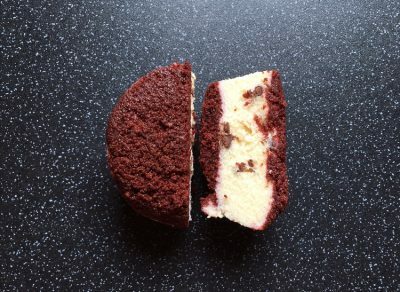 The chocolate had a nice snap to it and wasn’t too bad in quality, the little pieces on top gave an added crunch factor and aided the soft mallow and biscuit base. The base seemed more soggy where the caramel had soaked in which was fine because it was packed full of flavour. The marshmallow lets face it is a nothingness. Look at the poor thing it’s tiny and did not make much of an appearance in the whole teacake. I really wanted these M&S Dulce de Leche Teacakes to be the bees knees but alas they haven’t lived up to expectation. 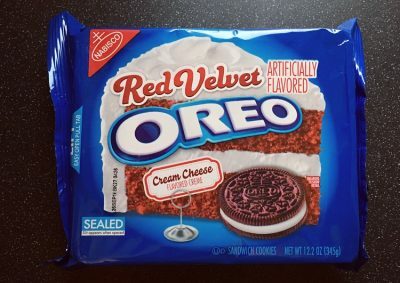 What I was hoping for was a short crisp base, a thick layer of gooey dulce de leche, a springy marshmallow all brought together with chocolate, but alas no. Don’t get me wrong they are pleasant but they just aren’t all that. It seems M&S cannot get the teacakes right. First the shabby Red Velvet Teacakes and now the lack lustre Dulce de Leche Teacakes. You can see how M&S have faired with their Dulce de Leche Cookies which my fellow compadre the Cupcake Snack Warrior has reviewed here.